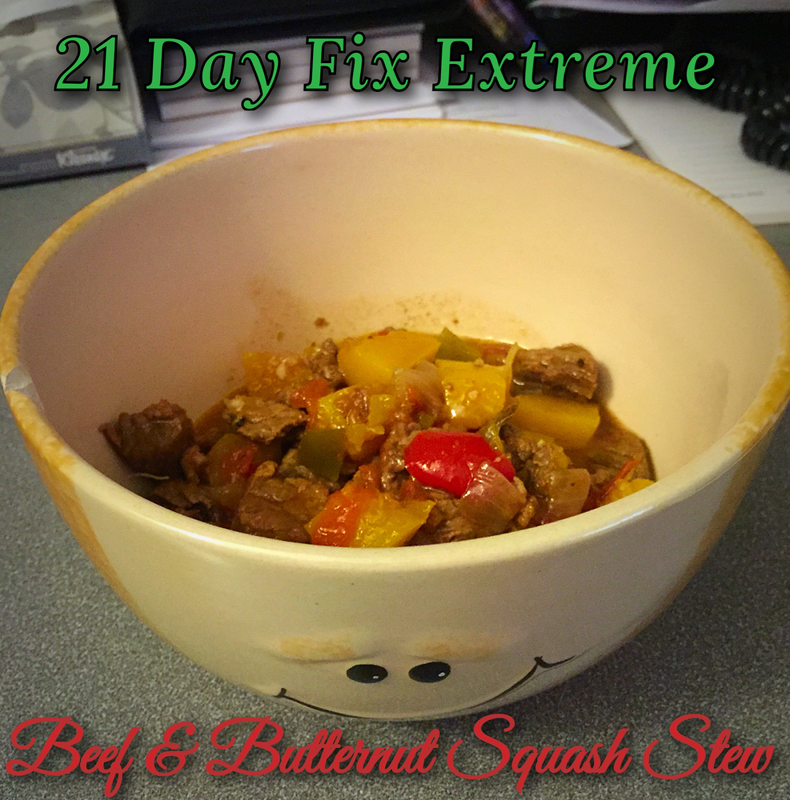 This recipe is by far one of my favorite 21 Day Fix recipes, and I couldn't believe it came from the 21 Day Fix Extreme program (my next Beachbody Purchase!)! Not only is this incredibly easy to make (a little time consuming, but well worth it) it's absolutely delicious. It freezes well and makes a hearty meal on the go. I think this will be a fantastic Fall/Winter meal, when we all crave a good pot of stew! My 1 recommendation for this, is that it is even better the next day, so make a batch ahead of time and let it sit overnight to let the flavours really incorporate together. Add beef, cook, stirring frequently, for 4 to 5 minutes, or until beef is brown. Add onion and bell peppers; cook stirring frequently for 4 to 5 minutes, or until onion is translucent. Add tomatoes, broth, bay leaf, salt & pepper and optional red pepper flakes. Bring to a boil. Add butternut squash, cook stirring occasionally for 8-12 minutes or until the sauce thickens and beef is fork tender. Squash should also be fork tender.